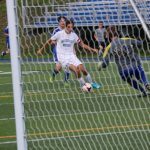 Boys Junior Varsity Soccer, Boys Varsity Soccer · Aug 30 Bengals Sweep Bulldogs! Benedictine’s Varsity Soccer team kicked off their pre-season schedule with a decisive 3-0 scrimmage win at Brooklyn yesterday. The Bengals were led by senior Jeremy Bilek’s two goals, including a solid header off a picture perfect cross from sophomore John Dosen. Senior Elijah Ayala struck from 18 yards for the Bengals 3rd and final goal. 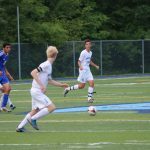 Boys Junior Varsity Soccer, Boys Varsity Soccer · Oct 1 Soccer Wins at VASJ, 2-0. 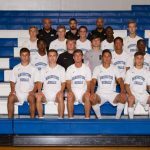 The soccer team, lead by Chris DiFrancesco’s two goals, defeated VASJ 2-0 on Tuesday evening. The Bengals will next compete on Tuesday, October 7, at Bossu Field vs. Warren John F. Kennedy. 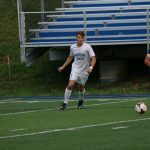 The Bengals defeated the Bearcats on Monday night, 5-0. Chris DiFrancesco (3 goals), John Dosen, and Matt Brodsky led the way for the Bengals. They will return to action on Tuesday at VASJ at 4:30PM.